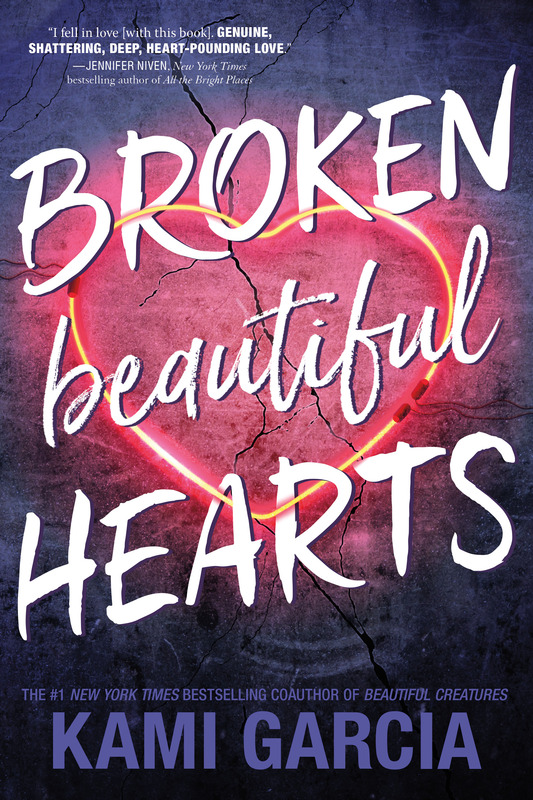 Kami Garcia is an author whose books have been in my TBR for a long time, but here latest, Broken Beautiful Hearts, is the first book of hers that I have read! I’m really glad to have started with a story that is very close to her own personal experiences, which you can read more about in this essay. Peyton believes in having one perfect day and that her’s is here when she gets offered a spot on the soccer of her top college pick. This day isn’t as perfect as she believes when she discovers that her boyfriend Reed (who is also her best friend’s older brother) has been taking steroids in order to win the MMA fights he competes. Things go from bad to worse when Peyton confronts Reed and he pushes her down a flight of stairs. Not only has the fall caused her a knee injury that might leave her unable to play soccer again, none of her friends believe her side of the story of what really happened. Things get even worse when her now ex-boyfriend begins stalking her and she starts receiving threatening calls from strangers. To solve this problem, Peyton’s mom sends Peyton away to live with her uncle and twin cousins. The first couple of chapters were hard for me to get into. From the start, I did not like Peyton’s boyfriend so when he pushed her, I wasn’t surprised (I hadn’t read the synopsis beforehand so I didn’t know it was coming). Once Peyton got to Black Water, I had an easier time slipping into the story and started to enjoy the writing more. Like Peyton, it took awhile for me to warm up to her twin cousins. They definitely rubbed me the wrong way and were very annoying. However, they did grow on me as they changed throughout the story. I did distinctly like Cam better than Christian, though. As for the romance, I really enjoyed it. I liked Owen and Peyton’s semi-hate-to-love storyline at the beginning (although it does not last for long), which then turns into a friends-to-lovers trope. I definitely understood why Peyton did not want to get involved with another fighter so soon. However, Peyton starts to uncover Owen’s true character and realizes he is not like Reed. While most of Owen’s secrets are uncovered, there are still a few questions that were left unanswered. Overall, I really enjoyed Broken Beautiful Hearts and I look forward to reading Kami’s other contemporary romance, The Lovely Reckless! Fans of Katie McGarry novels will love Broken Beautiful Hearts! Yay!! I hope you enjoy it as much as I did! I’ve heard a lot of good things about this book but didn’t know what it was about. Great review – adding it to my TBR pile. Thanks, Karen! I had heard a lot about this book too, but I hadn’t realized what it was about before reading it. Glad I could convince you to check it out! I rarely read the synopsis anymore, too! I don’t know when I stopped, but I like the surprise it brings! Plus I think it helps me to not set high expectations.